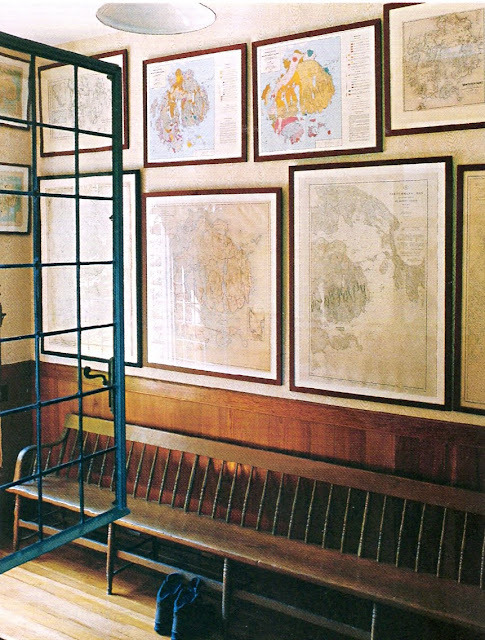 At Skylands, Martha's home in Maine, there is a room that displays her vast collection of antique maps of Mount Desert Island and its surrounding communities, some dating back to the mid-1800s. Now the public will have a chance to view at least half of her private collection as part of a special exhibit at the College of the Atlantic in Bar Harbor called "Charting a Story: Martha Stewart's Map Collection." The exhibit opens Friday, July 8th, and runs until Saturday the 23rd at the Ethel H. Blum Gallery on campus. Martha worked closely with the curator of the exhibit, Rebecca Woods, to choose the most exceptional examples, which chart an evolving landscape of roads, towns and landmarks in Maine over more than a century. Welcome back! You were missed. Thanks for the new updates!